Experience an independent lifestyle in a beautiful and secure environment, where your property and gardens are maintained for you. 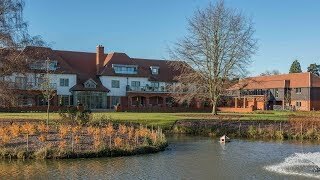 Our Audley village in Berkshire has its own health club, library and restaurant. And if you ever need any extra care, we can provide that too. We will have experts on hand to answer any questions you may have regarding downsizing, relocating or even general day to day life at Inglewood. Inglewood’s restaurant, Blandy’s is full of character and offers fresh seasonal dishes which are sourced locally and boast a modern and classical twist in taste. Right on your doorstep, the Audley Club at Inglewood includes a restaurant, bar bistro, gym, swimming pool and beauty spa.